So far Turkish authorities have refused by more than 750 applications of Mr Öcalan’s lawyers’ tovisit their client at İmralı Island. The last time his lawyers visited Mr Öcalan was 27 July 2011. His brother Mehmet Öcalan made the last family visit to Mr Öcalan on 11 September 2016. There has been no news about Mr Öcalan’s health and life since then. Mr Öcalan is not allowed to communicate with his family or lawyers via phone or letters, either. He is under absolute isolation. Detained on 22 January 2018 due to her statements on the Turkish government’s invasion of Afrin,Syria, Ms Leyla Güven was arrested on 31 January 2018 and has been held in Diyarbakir E-type High Security Prison since then. She faces up to 31 years and 6 months in prison due to her statements on Afrin and other speeches she made as a Kurdish politician. Ms Güven has been a well-known Kurdish politician. In 2004, she was elected to serve as themayor of Küçükdikili in Adana. In 2009, she became the mayor of Viranşehir in Urfa. The same year she was arrested and spent five years in prison. In 7 June 2015 elections, she was elected to the Turkish parliament as an HDP Deputy for Urfa, but lost hear seat in the snap elections on 1 November 2015. Ms Güven is currently the co-chair of Democratic Society Congress (DTK) and also an HDP Deputy for Hakkari, elected on 24 June 2018 while under pre-trial detention. The politics of total isolation on Mr Abdullah Öcalan as well as the arrest of Kurdish politicians are blatant violations of both Turkish and international humanitarian law. The isolation of Mr Öcalan, who was one of the two architects of the peace process between 2013 and 2015, has obstructed all efforts to re-initiate a dialogue between the conflicting parties and resume the peace process. We invite the international community, in particular those who are concerned about human rights, democracy, peace building in the Kurdish issue, and the rule of law in Turkey, to break their silence on this crucial matter, and meticulously follow and take action on the situation of both Mr AbdullahÖcalan and Ms Lelya Güven. 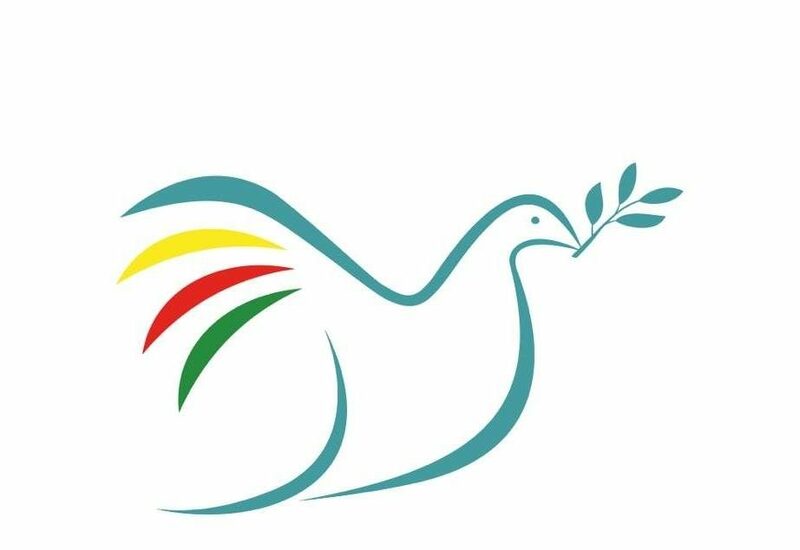 Please find attached a statement to the Council of Europe by Mr Öcalan’s lawyers providing details on the politics of isolation and HDP’s statement on the legal situation of Ms Leyla Güven. We have been unable to receive any news from our client Mr Abdullah Öcalan, who is currently held in İmralı Island prison, since 11 September 2016. We, as the lawyers of Mr Öcalan, haveapplied for visits more than 750 times since 27 July 2011 in other words more than seven years. Relevant authorities, however, refused all of these applications, in an unlawful manner. Therefore,we were not allowed to visit our client. Similarly, our clients Mr Veysi Aktaş, Mr Hamili Yıldırım, and Mr Ömer Hayri Konar were not allowed to receive any visit from their lawyers and familymembers since they were transferred to İmralı in March 2015. The last family visit to Mr Öcalan took place on 11 September 2016. As for the other clients, theywere not allowed to receive family any visit since they were transferred to İmralı Island prison. The last family visit to Mr Öcalan, which took place on 11 September 2016, was allowed as a result ofpressure from the democratic segment of the public. There were concerns about the safety of our client because there were media reports that plotters could have targeted İmralı on 15 July 2016when they had attempted to stage a coup. The democratic segment of the society had concerns alsoabout Mr Öcalan’s health situation since no news received after 5 April 2015. Until 20 July 2016, our applications to visit Mr Öcalan were refused by relevant authorities inwords and a de facto way-on the ground of “boat maintenance” and “adverse weather conditions”- that is to say unlawful and arbitrary manner. After 20 July 2016, these applications were refused on the ground of State of Emergency (SoE) that was declared as a response to the coup attempt on 15 July 2016. As a result of an initiative to legalise the practice under the SoE, a change was introduced to the law by an Emergency Decree Law . Consequently, applications for visits wererefused on the ground of changes in the law after 01.03.2018. The reasons for refusal were “adverse weather conditions” and “boat maintenance” were replaced with 1st Judge of Execution in Bursa’sdecisions dated 21.07.2016, 02.03.2018 and 06.09.2018. All required appeal and legal procedures were followed yet no result was obtained. Some applications for family visits were refused again on the ground of court decision. “Boatmaintenance” and “adverse weather conditions” were shown as reasons for the refusals when therewere no court decisions in this respect. The last application for family visit was submitted by family members on 14.09.2018. They applied for a family visit on 17.09.2018. Yet, the application wasrefused by the Disciplinary Board of the İmralı F Type High-Security Prison on the basis of its decision, dated 14.09.2018 and no 201871-2-3-4, to limit family visits for 3 months. Although the lawyers demanded a copy of the decision, the content of the Disciplinary Board’s decision was notshared with them. Not providing a copy of the decision is contrary to laws. Appeals and legal applications are pending with regard to these practices and decisions. However,the İmralı Island Prison has been designed as a place to practice absolutely unlawful applicationsand it is getting difficult and difficult to obtain results in a period that laws have been instrumentalised and moved away from universal human rights and principles. These decisions and practices demonstrate that there is a political power which violates MrÖcalan’s fundamental rights, cuts his all connections with the outside world and acts in an unlawfuland arbitrary manner. In this respect, courts and laws are used to accomplish the objective inquestion. When neither courts nor laws are available, ungrounded reasons such as “Boat maintenance” or “Adverse weather conditions” are used by relevant authorities. Being an island prison, the İmralı Prison shows the legal system of the State of the Republic of Turkey in a clear manner. In fact, the practices, which have been in force since our client MrÖcalan was caught as a result of the international plot on 15 February 1999, were not developed inharmony with neither universal nor national legal rules. The following facts strikingly reveal thecharacteristics of İmralı: the island was designed as a prison for one person only, which was aunique practice, in the beginning and military jurisdiction again for one person only. The European Court of Human Rights (ECtHR) and the European Committee for Prevention of Torture (CPT) determined that both of these practices are contrary to Human Rights Laws. So far, unlawful practices, which are designed for one person only and ignore laws, occurred inmany cases in the İmralı Prison. As of today, for example, no lawyer visits took place for more than7 years and no family visits took place for more than 2 years. Similarly, all means of communication (such as telephone, letter etc.) with the outside world were blocked. In addition toMr Öcalan, the other three clients were subjected to these practices. In other words, we receive nonews from them. Right to receive visits from lawyers is not only related to right to defence but also an essential element for a prisoner so that fundamental rights and freedoms can be exercised. The European Convention on Human Rights enshrines the right to receive legal assistance and right to defence. Similarly, Article 36 of the Constitution of the Republic of Turkey guarantees right to defence within national borders. Removing any obstacle and providing required conditions to exercise fundamental rights and freedoms are the constitutional obligations of the State. The requirements of this obligations must be fulfilled without any exception or excuse. The main reason why Mr Öcalan is subjected to exceptional and difficult conditions, which aredifferent than the rest of detainees and convicts within the country, is certainly related to his historical personality and significance. Indeed, Mr Öcalan’s role and position in regard todemocratic and peaceful solution to the Kurdish issue, which is one of the most important and the deepest problems not only in our country but also in almost whole of the region, are clearly known. This fact has been approved by several times. The recent obvious example about his role andposition is related to the impacts of Mr Öcalan’s calls and suggestions’ impacts during the dialogueperiod from the Newroz Celebrations on 21 March 2013 to the Dolmabahçe Agreement on 28February 2015. It was a period that democratic and peaceful opportunities were historic. On the other hand, the social dialogue initiative collapsed due to fight for power and interests among anti-democratic, anti-peace, and anti-solution forces. The last delegation visit took place on 5 April 2015 and then the isolation gradually worsened and reached the level of an absolute one of which broad impacts are easy to notice. There is a parallelism between the absolute isolation and coup-counter coup dialectic began with and resulted from a deep war as well as high tension concept, curfews, destroyed cities, SoE practices which made arrests, detention, dismissals, dislocations common, and the new legal regime of Turkey based on arbitrariness and power that arenot common in any democratic society with rule of law principle. The approach to Mr Öcalanforeshadows policies about problems in the administration of the country. While talks and dialogue refer to democratisation and solution, the deepened solution refers to war and tension policies. The present isolation, which is an absolute one, aims to cut all connections with the outside world.The absolute isolation covers also Mr Öcalan’s democratic solution efforts, democratisationstruggle, and peace viz the common future of the peoples. Undoubtedly, one of the reasons for this level of isolation is the silence and passive position of the international institutions. In fact, the European Court of Human Rights (ECtHR) and the European Committee for Prevention of Torture (CPT) have yet to rule on these practices, which amount to torture, or do not follow up the requirements of their decisions. The position of these two institutions encourages the Government of Turkey. The ECtHR has not examined our “isolation”application, of course we have submitted applications for other issues, for non-stop prohibition of lawyer visits dated 2011. Similarly, the CPT has not put our applications and reports on the agenda though these reports and applications cover the period that we received no news/information fromthe prison. The position of these two institutions feeds the Government’s policies about theseissues. Any sensitivity to the İmralı Isolation System from organisations and institutions within theCouncil of Europe is signification for the protection of fundamental rights and European Democracy. It is necessary that the ECtHR must prevent torture so that universal principles and rules shall be exercised and the CPT must conduct a de facto visit to the İmralı Island Prison andour clients, and have legal communications with relevant authorities. As the Asrın Law Office and the families of the prisoners in the İmralı Island Prison, we call onauthorities to put an end to the absolute isolation, which is contrary to universal and national laws, the pro-peace and democracy segment of the public, sensitive segments of the society, human rightsorganisations, democratic law organisations, and bar associations to be sensitive to the State’s isolation policies, which destroy law and create a space with “no law”, to act against isolationpolicies that is in harmony with deadlock, and support democratic solution will that shall be result in permanent peace. The unlawful practices must be immediately stopped. Given the fact that receiving visits from lawyers and family members is a fundamental right, the situation of no news is an unacceptablesituation. There must be conditions to visit Mr Öcalan and other prisons immediately as well as toshare accurate information about him with the public. The latest example to Turkish judiciary’s politically motivated scandalous practices concerns thesituation of our newly elected MP for Hakkari, Leyla Güven. Leyla Güven is a well-known Kurdish political activist who had been first elected to the Parliament in 7 June 2015 elections. After loosing her seat in the snap elections of 1 November 2015, she continued her activism under the roof the Kurdish civic initiative, Democratic Society Congress(DTK). She was detained on 31 January 2018 while serving as DTK’s co-chair and has since been held under pre-trial detention in Diyarbakir E-type High Security Prison. In the recent 24 June Parliamentary elections, she was elected as an MP for Hakkari from jail. In the morning of 29 June, Diyarbakir Heavy Penal Court No.9 issued Güven’s release upon her lawyers’ appeal under Constitution and Law on Criminal Procedures that as an MP she could not betried under arrest. While Diyarbakir E-type Prison administration kept delaying Güven’s release unlawfully for hours, Diyarbakir Office of the Public Prosecutor objected to the Court’s releasedecision arguing for a risk of her escape lest she would be tried without arrest. In the afternoon ofsame day, the Court issued a new decision for the continuation of Güven’s pre-trial detention. ThePrison administration cancelled Güven’s release upon oral receipt of this warrant. The prolonging of Güven’s pre-trial detention involves serial violations of procedural law. 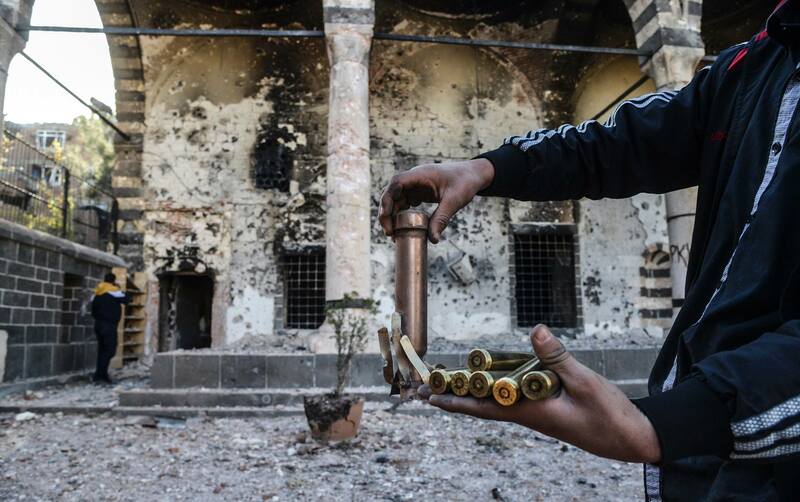 It has to be underlined that Diyarbakir Prison Administration twice violated the law in this process, first, bynot implementing the Court’s release decision and, second, by implementing its arrest decisionwithout written receipt of notice. Insofar as the arrest warrant itself is concerned, it is significant to note that prosecutors in Turkey were granted an unprecedented authority to object court decisions with a recent State of Emergency Government Decree. However, even under this emergency system, the procedural law obliges courts to review a file in its entirety when handling any prosecutorial objection. It is practically impossible that the court board in question could have re-examined Güven’s file which comprises hundreds of pages in four dossiers in the matter of a fewhours (during when its judge was heading hearings in other cases). It is obvious that the board’sdecision was not based on any legal review but on a Government order. We would like to emphasize once again that with decisions such as these Turkish judiciary declares and reiterates its dependency on the Executive power by arbitrarily violating the rights and libertiesof the members of political opposition. Our MP Leyla Güven’s unlawful arrest, which furtherconstitutes seizure of the electoral will, has to end and she has to be released immediately. 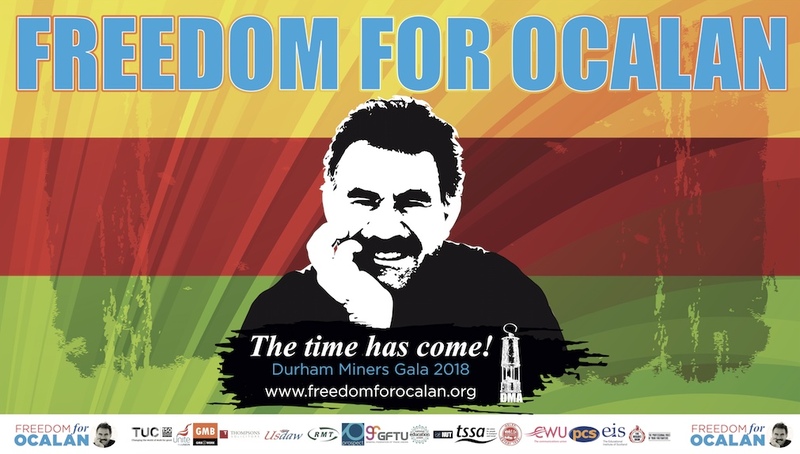 « OPEN LETTER TO PRIME MINISTER THERESA MAY FREE ABDULLAH OCALAN!